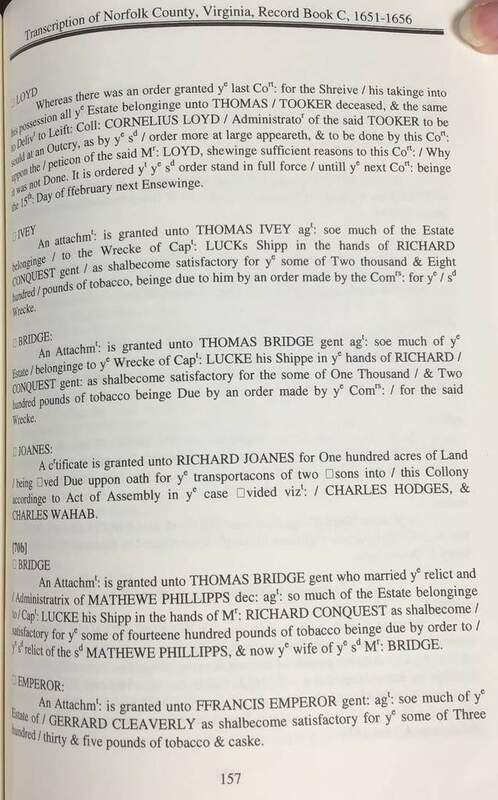 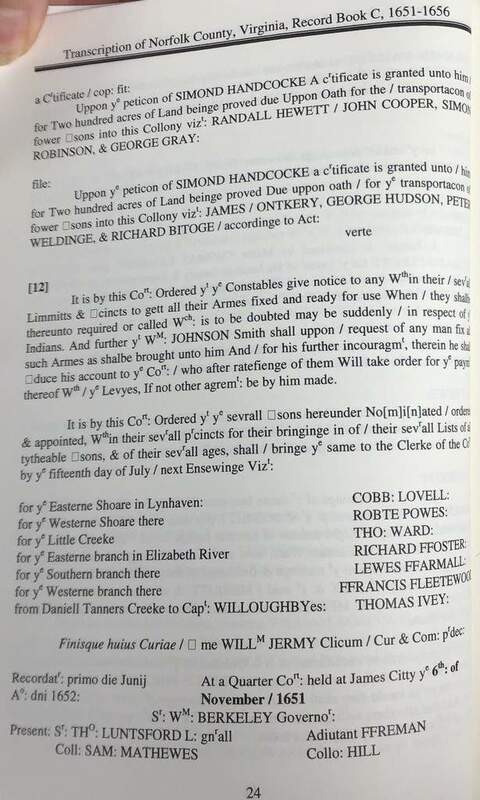 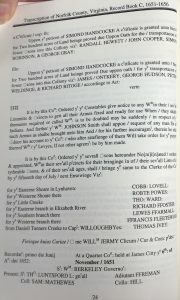 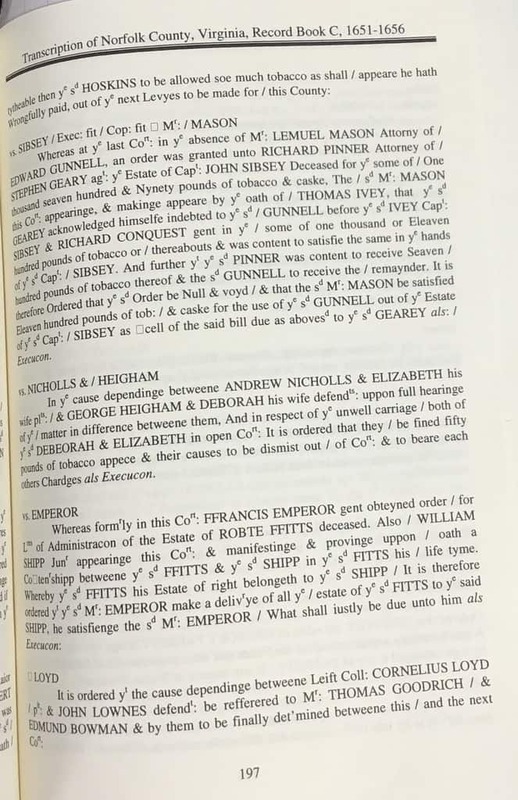 An attachmt: is granted unto THOMAS IVEY agt: soe much of the Estate belonginge / to the Wrecke of Capt: Lucks Shipp in the hands of Richard Conquest gent / as shalbecome satisfactory fo ye some of Two thousand & eight hundred / pounds of tobacco, beinge due to him by an order made by the Comrs: for ye/sd Wrecke. 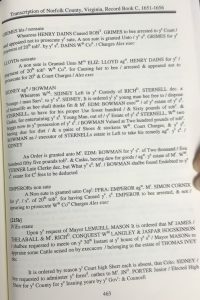 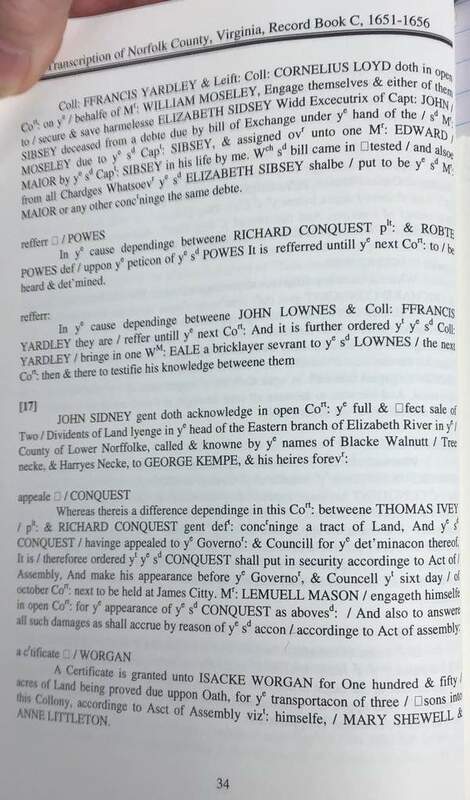 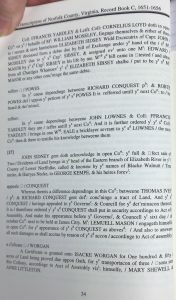 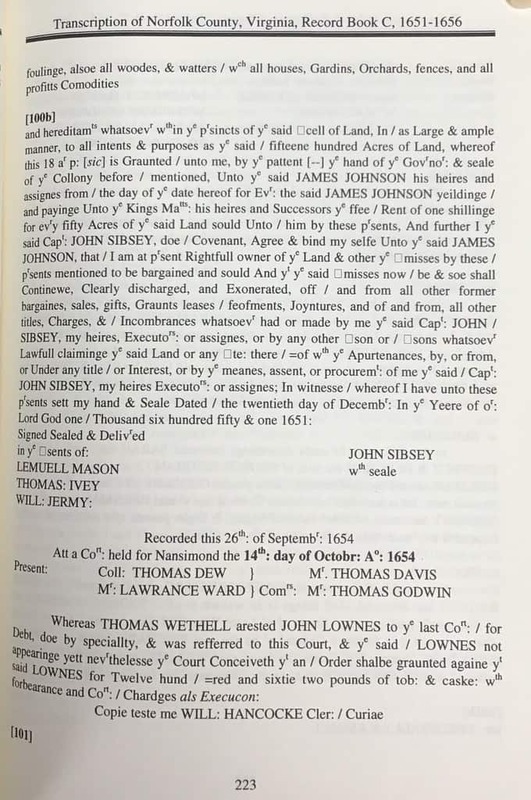 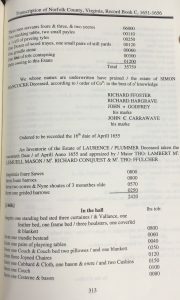 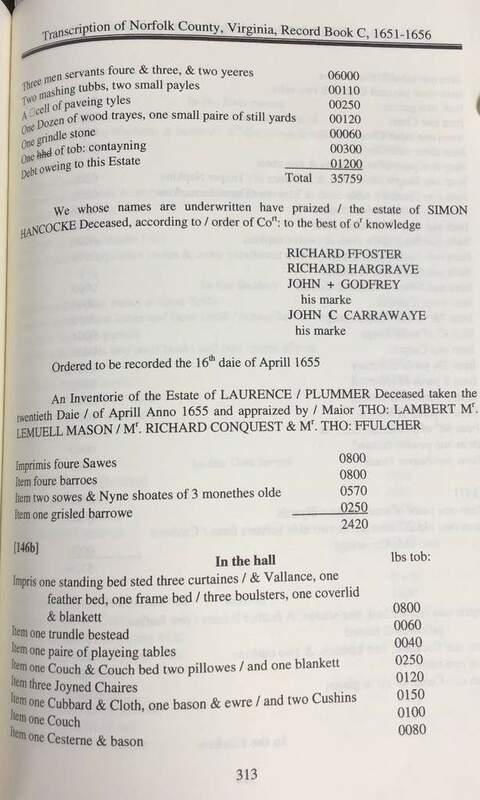 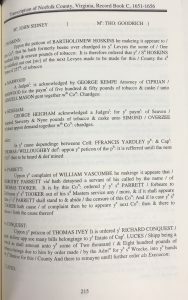 Lres of Administracon of the estate of THOMAS IVEY is granted to George Kempe, he being A great Creditor & putting in security / according to Act of Assembly. 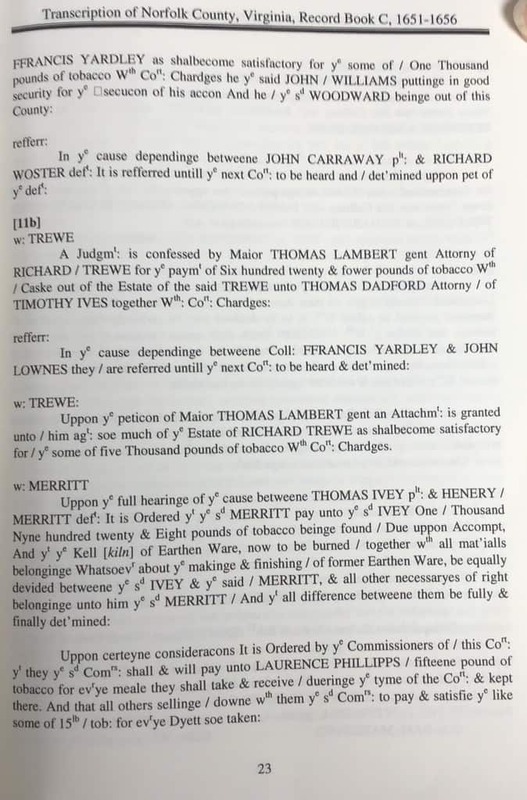 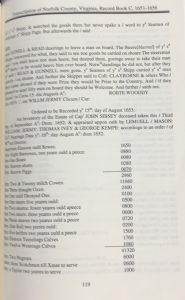 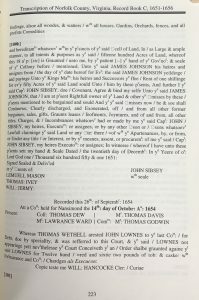 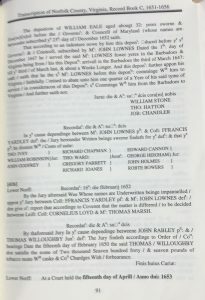 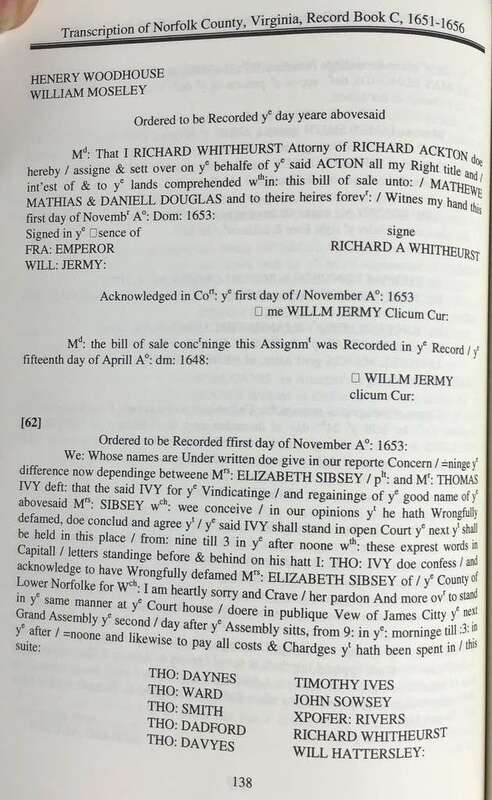 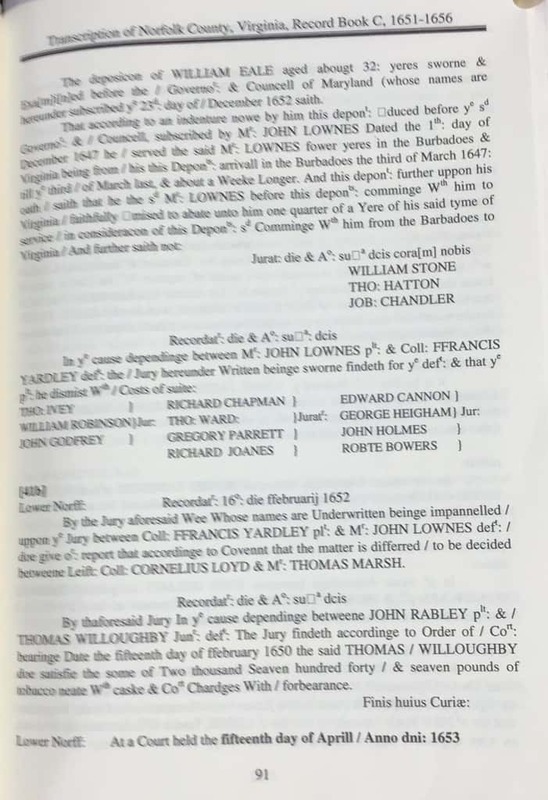 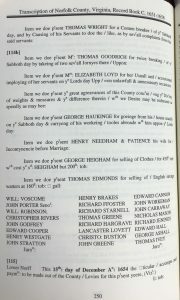 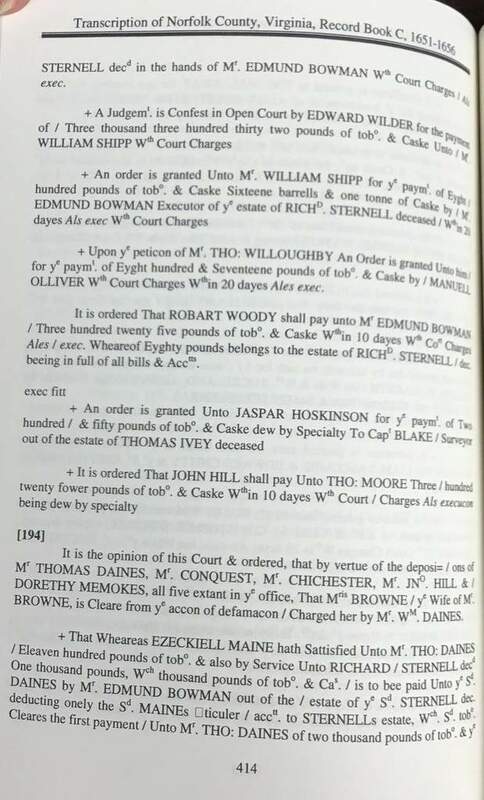 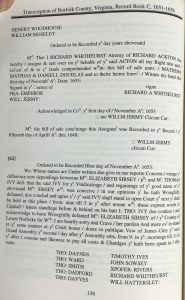 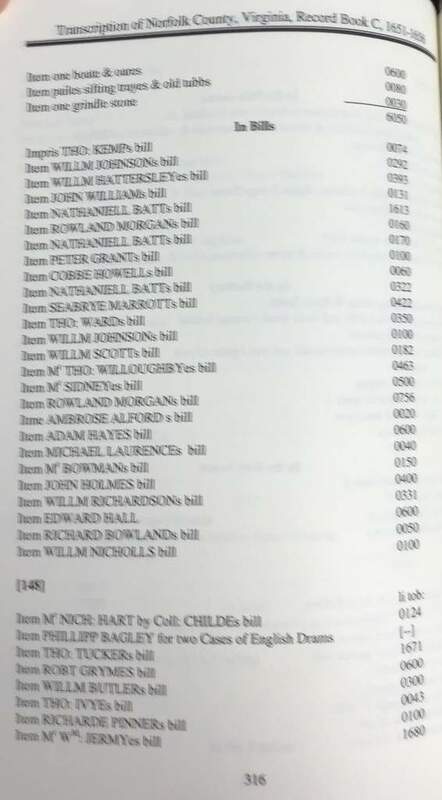 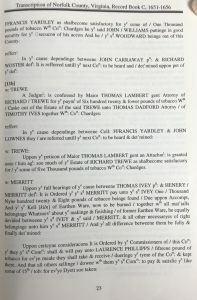 W. Lemuell Mason being paid in / the first place ffive hundred pounds of tob: ... until his Deb be / fully paied Due to him from THO:IVEY, And likewise to ... Mr. Thomas willoughbyes Debt, out of the estate Due to him from/THOMAS IVEY. 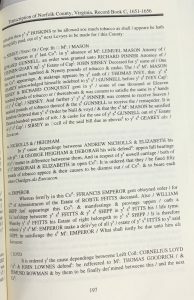 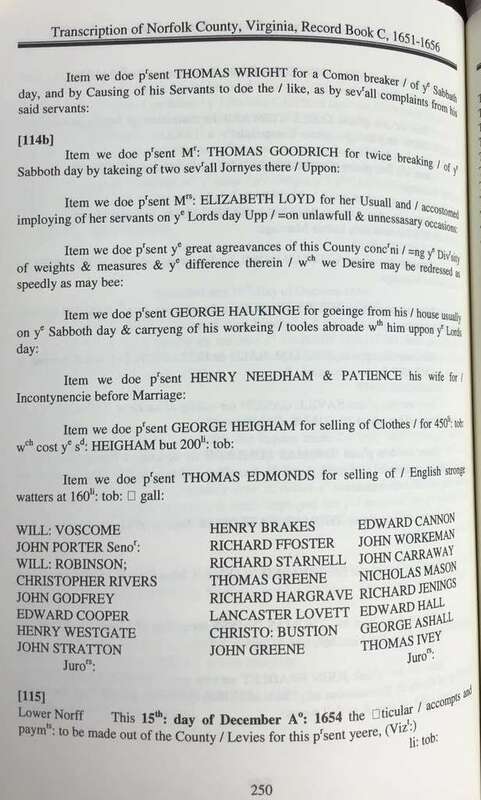 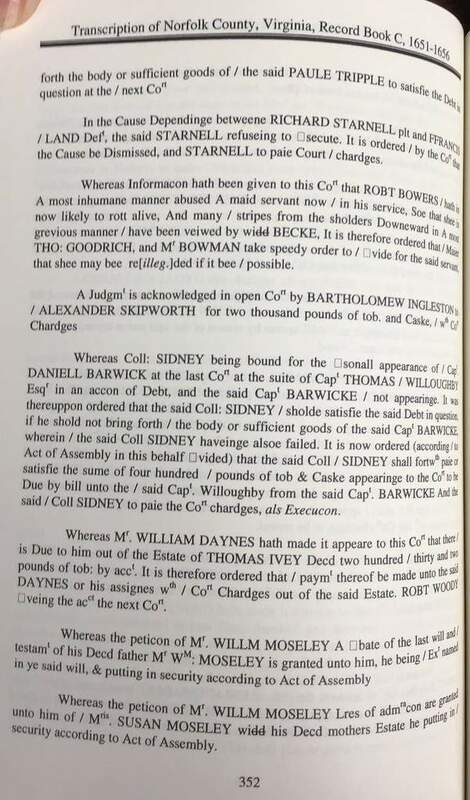 Whereas Mr William Daynes hath made it appeare to this Cort that there is Due to him out of the Estate of THOMAS IVEY Deed two hundred / thirty and two pounds of tob: by acct. 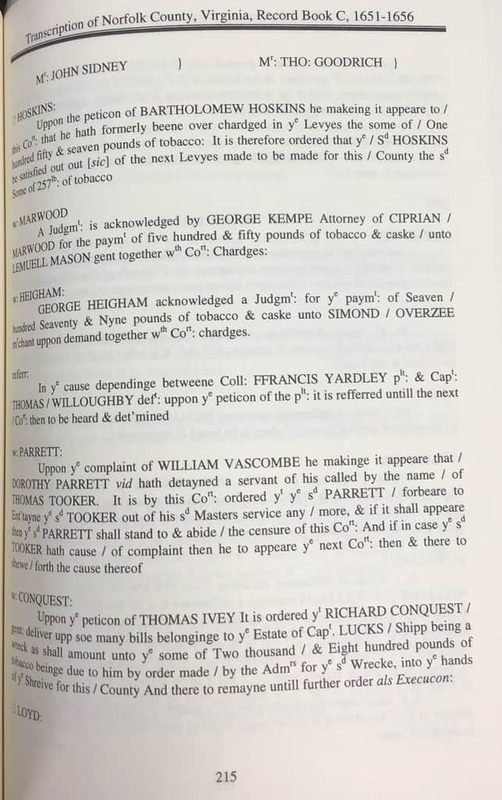 It is therefore ordered that / paymt thereof be made unto the said Daynes or his assignes with / Cort Chardges out of the said Estate. 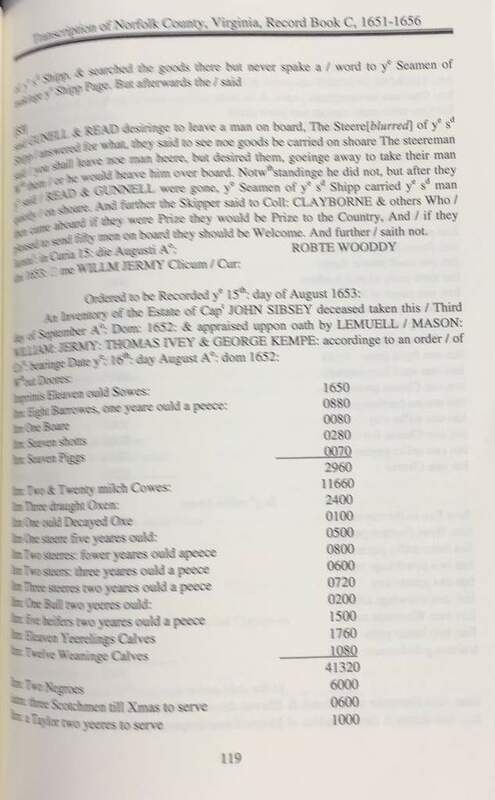 Robt Woody, veing the acct the next Cort. 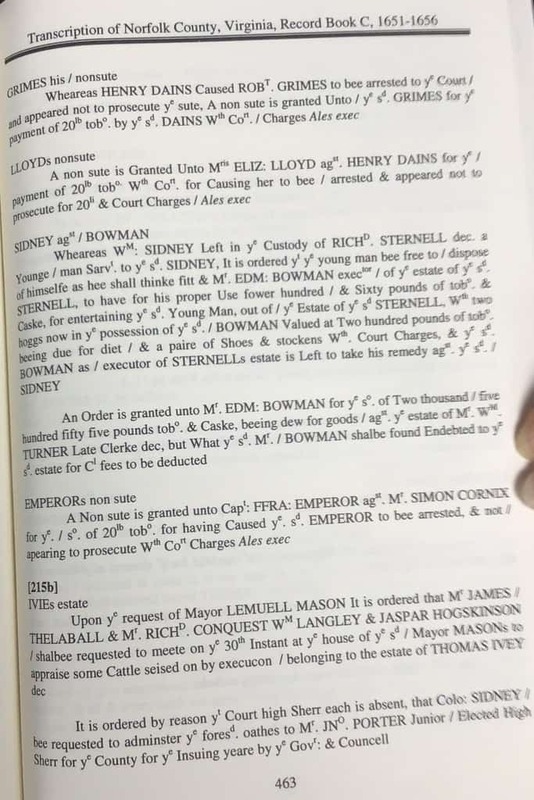 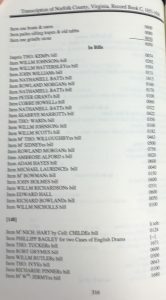 Whereas the peticon of Mr. Willm Moseley Lres of adm con are gratned unto him of / Mris Susan Moseley widd his Decd mothers Estate he putting in a security according to Act of Assembly.